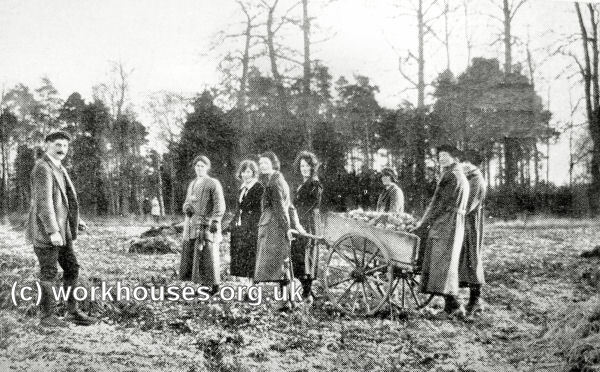 In 1898, the newly formed National Association for the Prevention of Tuberculosis acquired an 82-acre site in the middle of woodlands at Bagshot Sands near Wokingham. New buildings were erected at a cost of £40,000 and the hospital opened in 1901. Operating under the name of the London Open Air Sanatorium, it could then accommodate sixty-four male patients. They typically stayed at the sanatorium for at least six months paying a weekly charge of three guineas. 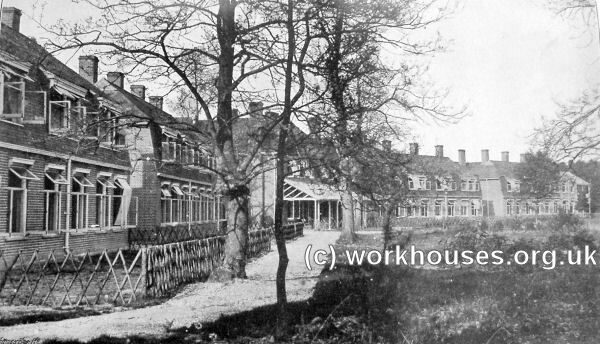 Pinewood Sanatorium from the south-west, date unknown. London Open Air Sanatorium entrance, early 1900s. The main ward buildings formed a south-facing arc and comprised a medical residence at the centre flanked by two-storey wings. Each wing had 16 rooms on each floor with large windows providing patients with light and ventilation. A corridor at the rear gave access to lavatories and a small kitchen. A dining-hall was placed at the rear of the central medical residence which also served as a recreation room. The kitchens and female staff accommodation lay to the north, beyond which were placed the laundry, disinfecting rooms, and boiler-house. An isolation block was placed to the east for cases of acute exanthemata. London Open Air Sanatorium main block from the south-west, c.1907. 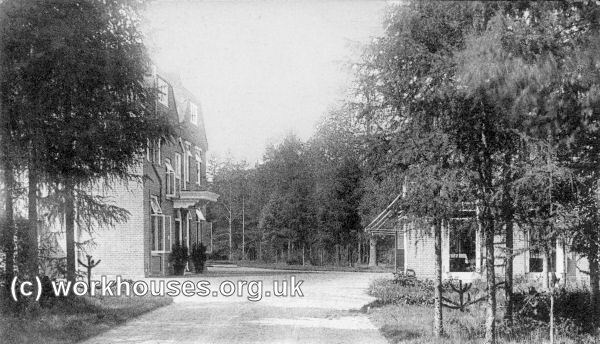 London Open Air Sanatorium from the south-west, c.1907. In June, 1919, the sanatorium was taken over by the Metropolitan Asylums Board who were expanding their provision for TB cases. It was renamed the Pinewood Sanatorium and its capacity expanded to 160 beds. 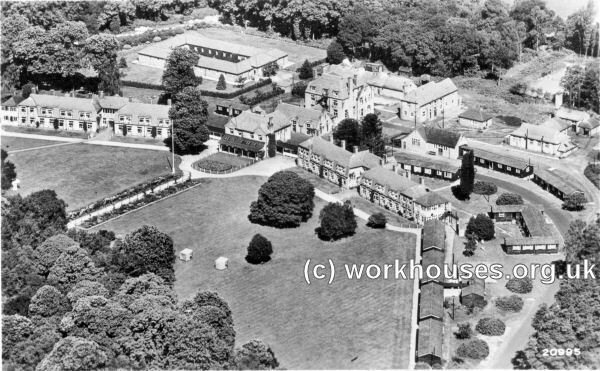 Pinewood Sanatorium administrative block and main block, c.1923. 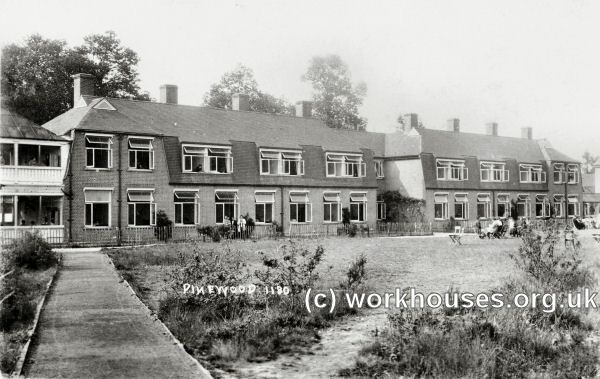 Pinewood Sanatorium patients' huts and main block balconies, c.1923. Petients coming towards the end of their treatment could take exercise in the form of harvesting vegetables, sweeping paths etc. Pinewood Sanatorium patients gathering swedes, 1923. The hospital closed in around 1965. The sanatorium buildings no longer and the site is now occupied by the Johnson and Johnson company.